Clients are the cornerstone of any successful enterprise, and this is particularly true in real estate, a business where relationships are central. Demonstrating your gratitude to past and present clientele has the potential to up your referrals, expand your database, and create face-to-face time with your business’s bread and butter: people. Take a look below at some tips to keep in mind as your craft the perfect client appreciation bash. Don’t stop at inviting former clients to your client appreciation bash. Instead, expand your network and invite neighbors, local businesses, friends, family, associates, and the like. Doing so creates a coveted in-person opportunity to build relationships and broaden your reach. Think big and explore sponsors. Sure, you don’t want to break the bank with a client appreciation event, but consider enlisting local businesses and associates as sponsors of the event. Not only does this ease the expense of throwing a memorable party, it also creates a link between you and other entrepreneurs, effectively widening your database and sources for leads. Reward your employees in the process. 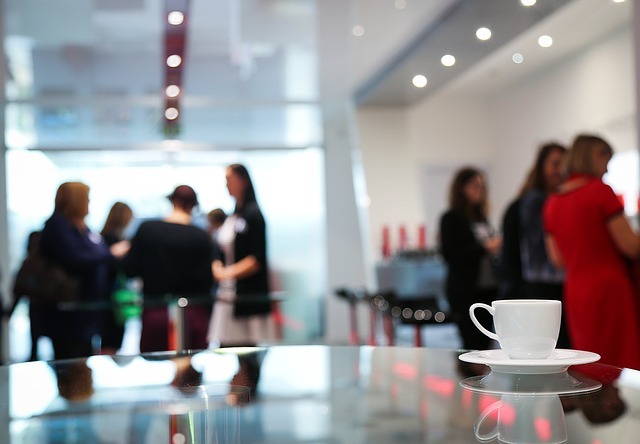 While client appreciation events may be geared toward database building and showing gratitude for past business, if done correctly they also provide a nice venue for your employees to enjoy a morale boost, too. After all, a team that feels appreciated and validated is both loyal and eager to please again. Use local or major events as a platform. Whether the local high school football team made it to the championship, or Halloween is just around the corner, pairing client appreciation events with already established happenings can create a natural tie-in and boost your attendance numbers, to boot. One popular method is conducting a pie giveaway during the Thanksgiving holiday, or hosting a Super Bowl viewing party. Both ideas create a natural theme and opportunity for comradery between hosts and attendees. Invitations for client appreciation events shouldn’t be one-size-fits-all. While time management demands some efficiency in regards to your invites, consider handwriting a little note here and there for clients you remember well, or for associates who you have an upcoming meeting with. Perhaps you’re sending out an invite to someone who lives on the same street as a listing you just began to publicize—a natural opportunity to make a personal connection that might benefit your business and lead to a confirmed RSVP. Cultivating leads and relationships is just as important as the active work of helping clients buy or sell a home. Securing the future health of your business is all about what you do in the present, and providing an opportunity to show clients you’re a business that cares is an excellent start. What a great article! I’ve been trying to figure out how to plan an event for my clients, but this is a great way to do it all! Thanks so much for the tips!